Unique piece of handmade jewellery by Gian Luca Bartellone: Brooch Akinos, 2014. 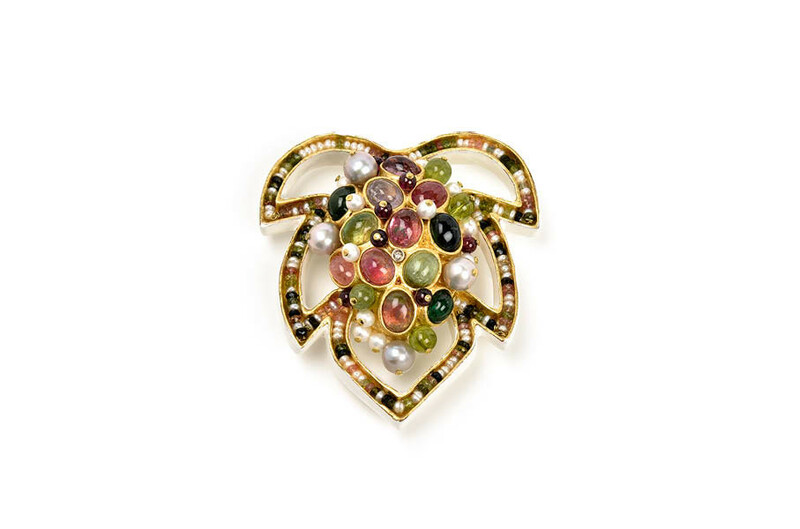 Materials: papier-mâché, gold 18kt, diamond brilliant cut 0,01kt, tourmalins, pearls, garnets, peridots, paper, gold leaf 22kt. Vines and grapes, ancient symbols of life and abundance. A multi-coloured grape of precious gems channels this archaic symbolism in an explosion of light, emotions and deep knowledge.